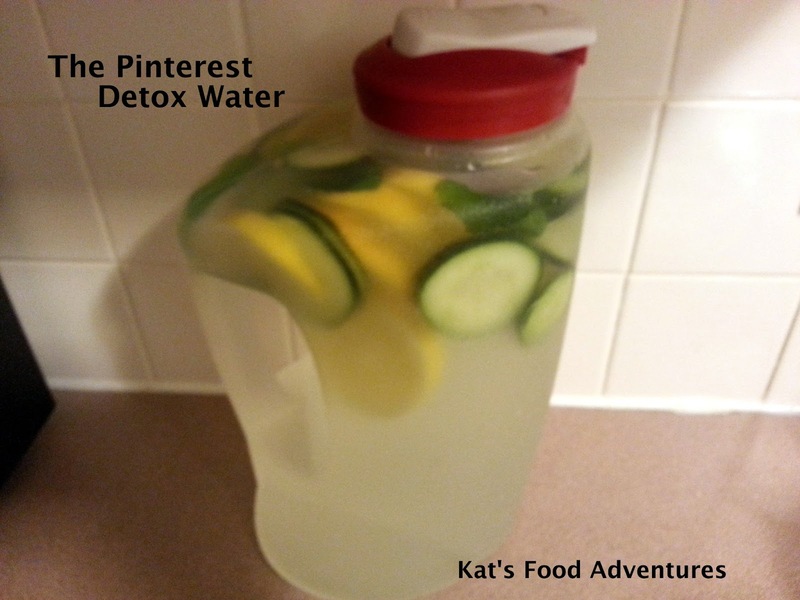 That's it, it's actually a delicious detox water. I think I'll be trying lemon strawberry next. 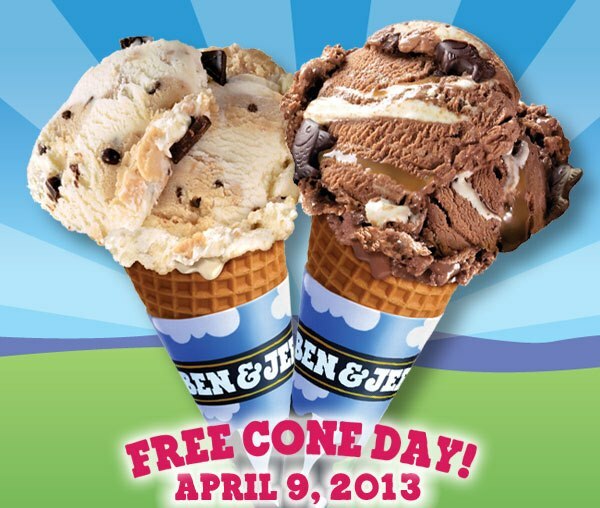 Ben & Jerry's has announced their free cone day for spring, April 9, 2013. So no matter where you are save some time on April 9 to make your way to your local Ben& Jerry's! Find your local Ben & Jerry's with their Shop Finder. 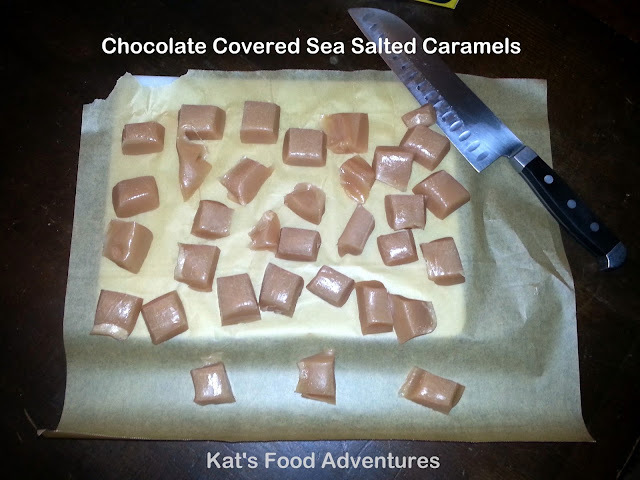 Share your pictures of what cone you get on the Kat's Food Adventures Facebook Page. Don't worry, I'll remind you again in a few weeks! So this week I'm going all veggies for every meal, that means no meat this week and limited to no eggs and dairy. It's a good thing I love my veggies, and my boyfriend is totally on board with my little project too. So come along with me on this great adventure! While your tofu is draining you can slice your mushrooms and chop up the zucchini into bite sized pieces. Now chop up the tofu into cubs, place in a bag with the italian dressing. Let this marinate for about 15-30 minutes. Heat a medium sized skillet over medium heat and then drizzle in the olive oil. Now sauté the onions for 2 minutes, next add the mushrooms and sauté them for 5 minutes, lastly add the zucchini and sauté until its all cooked to your liking for me I cooked it for an additional 10-15 minutes. Don't forget to add salt and pepper, however much you like! Now in a medium sized sauce pan, bring the vegetable broth to a boil and add the butter. Once it is boiling take it off the heat and stir in the couscous, cover and let sit for 5 minutes. 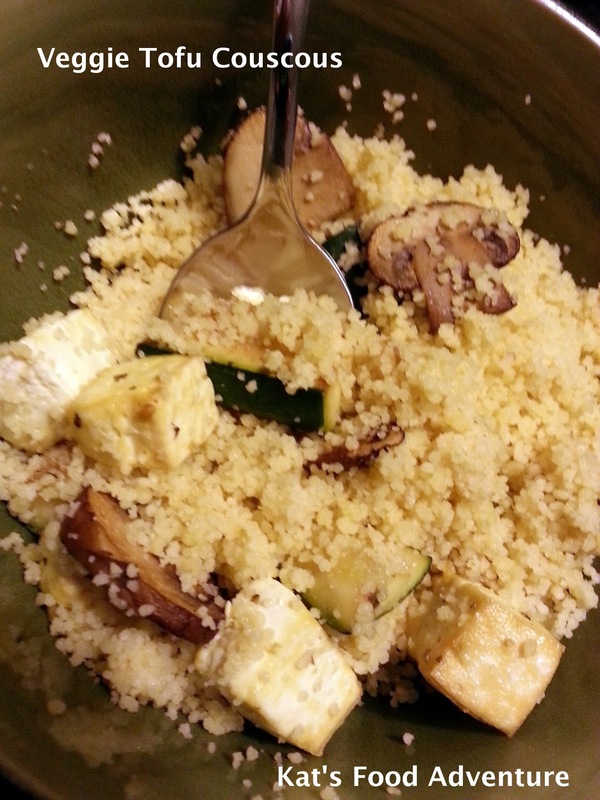 Fluff the couscous with a fork and add to a large bowl, mix in the veggies and tofu. Serve warm or cold, both are delicious! I would like to thank my friend Becky for this recipe. She showed me this super easy recipe when she came to visit me and my boyfriend. I love how easy this dish is and there is basically only one thing you really have to cook, two if you choose too. Heat up the pizza crust in the oven according to the package directions. Cook the bacon, for this I used my microwave technique because of how fast and easy it is, but you can do it however you'd like. Chop up the bacon after its cooled. 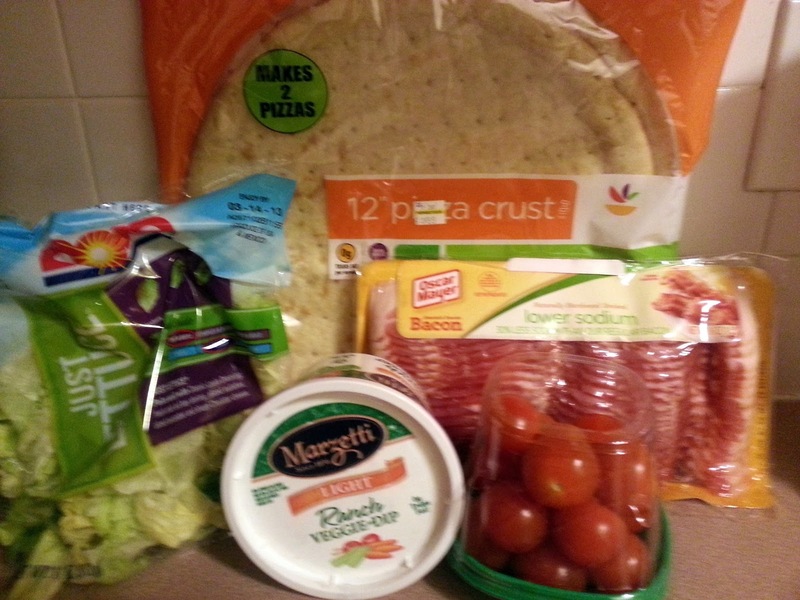 Now to assemble the pizza spread the ranch vegetable dip like you would tomato sauce. It's as easy as that, enjoy! Check out this weeks awesome freebies! Some of these are good till the end of the month, others are only a one time deal, but either way its awesome! 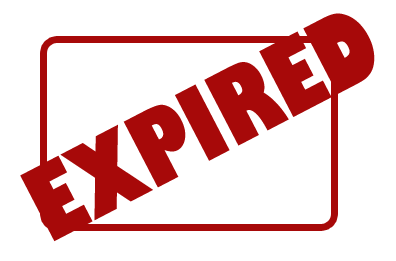 So grab this while you can! HAPPY FRIDAY! As you know I started a salad garden last week, and though a lot of people said that the seeds would take a couple of weeks to germinate, over the weekend they already started sprouting up. 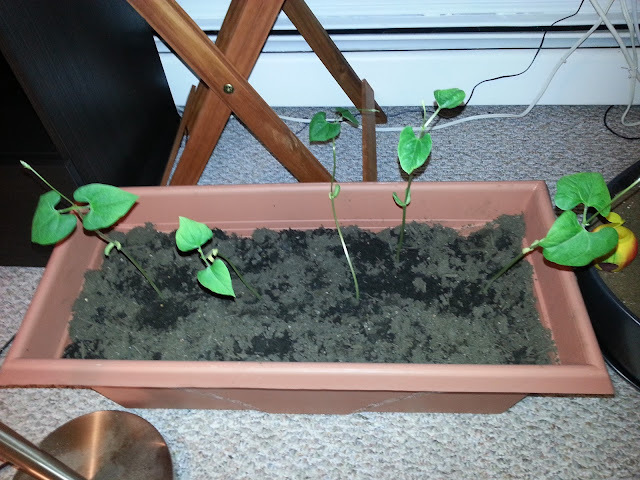 The green beans are the first to pop out of their seeds and are growing at a ridiculously fast rate. They busted out of the mini green house over the weekend and had to be transported into a pot (which you can see in the second picture. Now that they are out of the green house, they have been growing even faster it seems. 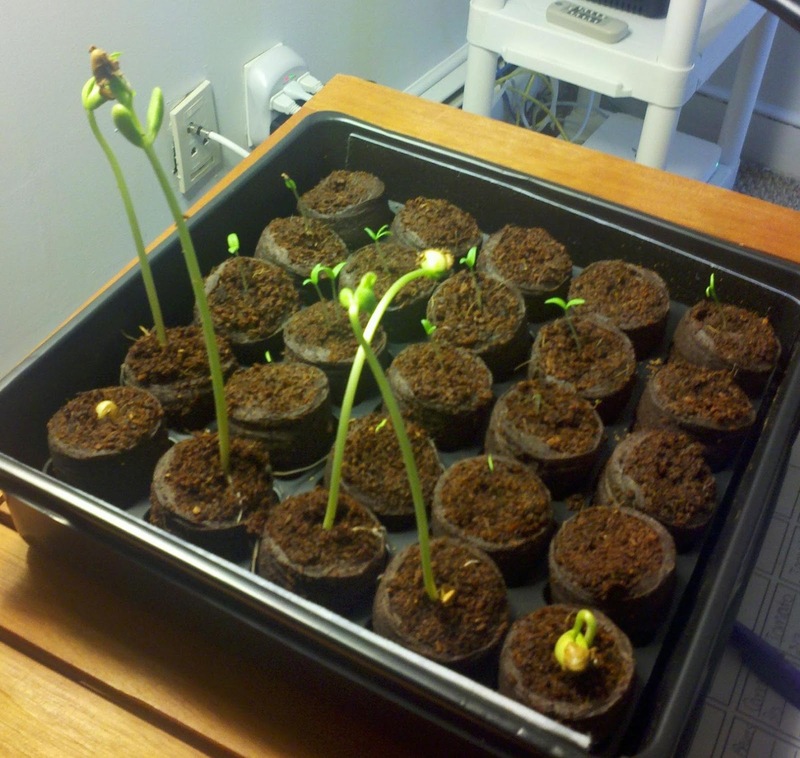 They are now about a foot tall, while the other veggies are still between 1-2 inches tall. I also applied to be apart of a community garden near by so that all the veggies can grow as big as they want and really thrive. Can't wait for the weather to really warm up! Hi Everybody! So, it is snowing here in the Northeast (surprise! No, not really) and for some reason snow makes me think of bacon - OK, maybe everything makes me think of bacon : ). 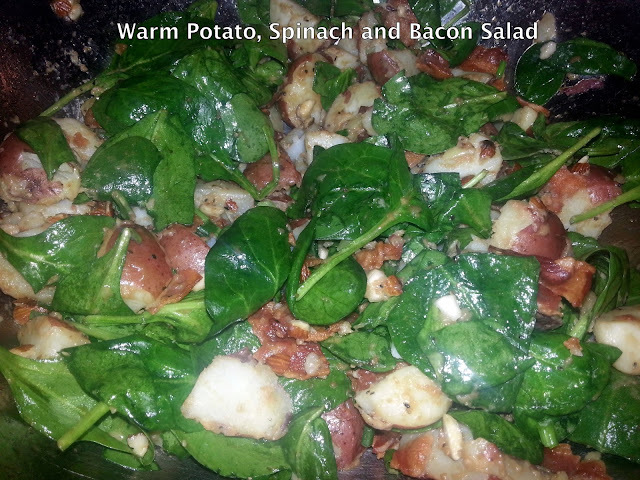 But seriously, I was pondering some yummy stuff to do with bacon and I stumbled upon an amazing warm salad recipe. It is ridiculously simple and crazy delicious. The kids in my house will even eat it! The husband inhales it as soon as it is done. The main players are… you guessed it! Bacon!!! And potatoes, baby spinach, onions (usually red, but scallions could work too) some slivered or chopped almonds and the dressing, oh god, the dressing *insert Homer Simpson drool noise here*. 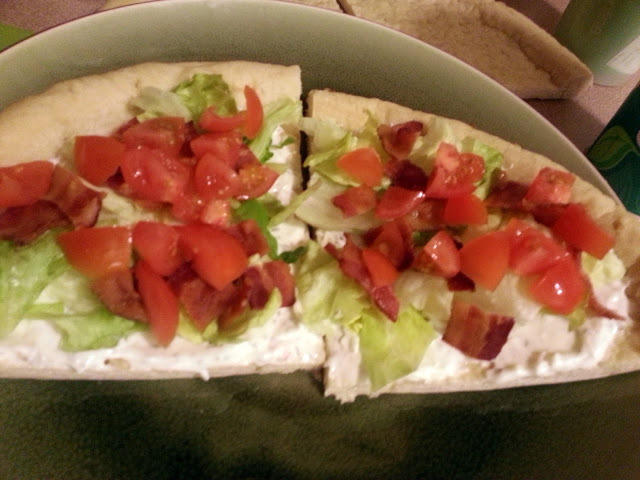 The recipe is lightly adapted from yet another amazing food blog, In the Kitchen with Stefano Faita. I have made some changes; I personally think the addition of onions makes the salad pop. Try this one for your next get together, it is sooo easy, and can be made ahead of time, although it’s called a “warm” salad, I know it is just as yummy when it is cold. Begin by prepping the potatoes. Just take out the eyes, don’t peel them, the skins are lovely and tender on new potatoes and it offers great texture. After the eyes have been removed, put the potatoes in the pot you will boil them in, and fill it just covering the potatoes with cold water, put it on yer stove and get it boiling! Start your bacon. I make sure my bacon is super cold, so that I can get a nice lardon or bite-sized piece. Cut up all your bacon and fry away. After the potatoes are done, drain them, and let them cool enough to handle. After they have cooled, cut them in halves or quarters. 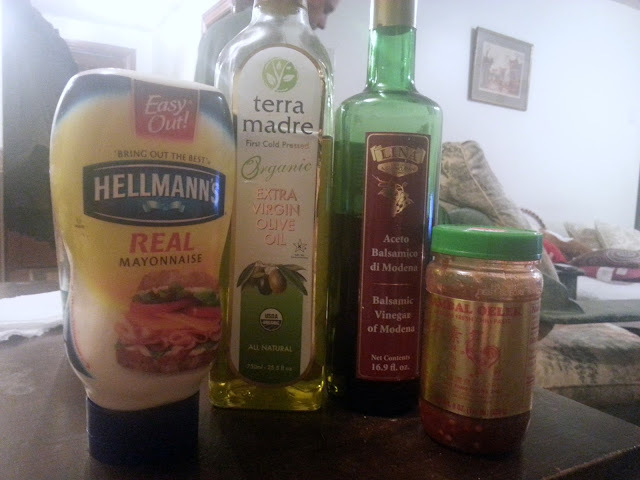 Start your dressing; in a bowl combine ¼ cup olive oil, 2 Tbsp mayo, and 2 Tbsp of balsamic vinegar, and the tsp of sambal oleck (if you want it hot) whisk until combined. It should be a pretty light brown and look velvety. Season with salt and pepper to taste. Pour the dressing into the bottom of the bowl you will be making your salad in. Make sure you’ve sliced your onions nice and thin, and if onion flavor bugs you, just soak your thinly sliced red onions in some cold water, it’ll help with that strong flavor. 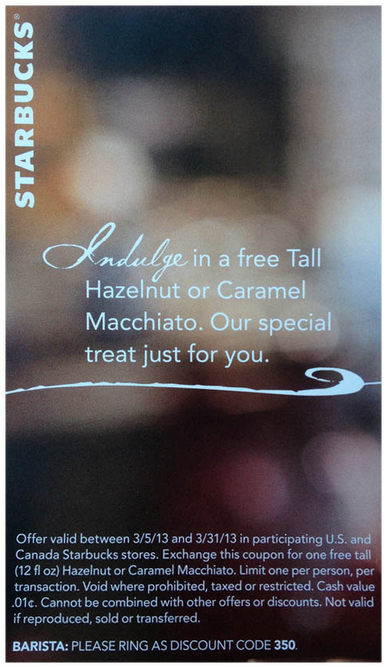 So Starbucks is doing another freebie featuring their NEW Hazelnut Macchiato! Print out this coupon or save it on your phone and present it to your barista and get a FREE Starbucks tall hazelnut or caramel macchiato at participating stores from now to March 31st. If you're not sure if your Starbucks is participating call ahead to check. 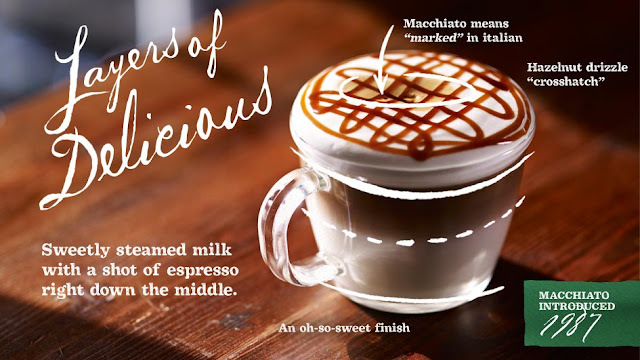 What is a macchiato? 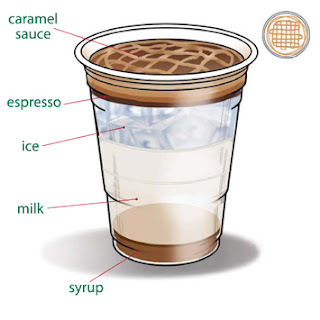 Well if you get it iced caramel one, it is made up of delicious caramel sauce, espresso, ice, milk, and syrup. if it's hot, just remove the ice and add more milk. 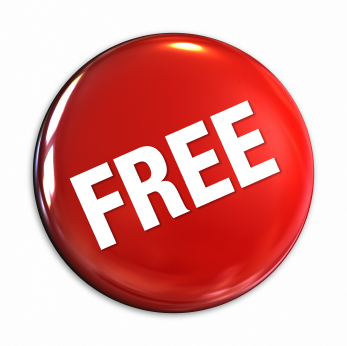 Enjoy your free coffee because I know I will. I'm super excited for this summer because I've planted my seeds for my salad garden! What is a salad garden you ask? Basically it means that everything that I grow I would use to make an awesome salad -or other awesome dishes, of course! It will be my first time ever doing something like this, so it will probably will be very interesting. I decided to grow carrots, spinach, tomatoes, and green beans. 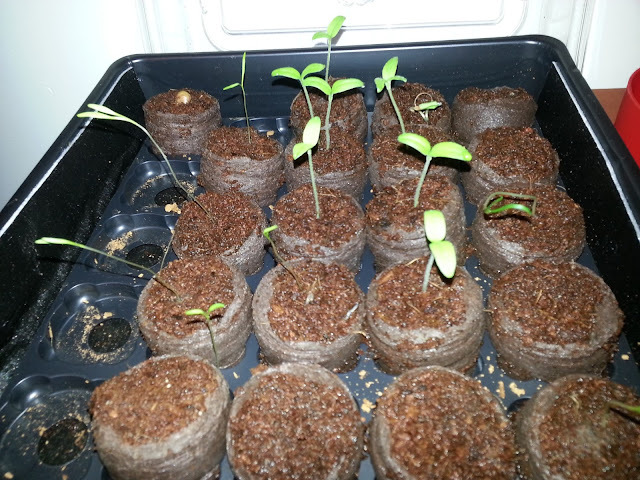 I am growing these all from seeds and I'm crossing my finger that they all sprout! Burpee Seeds - I heard that these are some of the best and they guarantee the quality of their seeds so if you're not happy they will either replace them or give you your money back. Burpee 36-Cell Self-Watering Greenhouse Kit - This it the most efficient way to sart your seeds and help them develop a strong root system before planting. Best part is that you can keep the green house and replace the disks to start new seedlings. Watering Can - To help water the plants... luckily with the green house you only need to water every 10 days. This is a post that originally did for the Collabor-eight where I post weekly for "Foodie Friday." 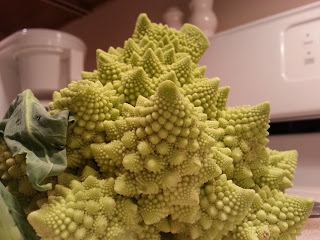 I experimented with delicious romanesco, honestly the weirdest veggie I have ever seen in my life. It is a creepy cross between broccoli and cauliflower and is super easy to cook and very versatile. I know this is bizarre but be brave, I promise it will be worth it in the end. romanesco pairs perfectly with pasta, and that’s how I’ll be featuring it in today’s recipe! I'm always on the go which means my food has to come with me. Below you will see a few of my favorite foodie apps (Android). Starbucks - Register your Starbucks card online and you can pay for your drinks with your phone. You can even reload and manage your cards right on your smartphone. Also all of your rewards are loaded on the app so you will never leave your rewards at home again. 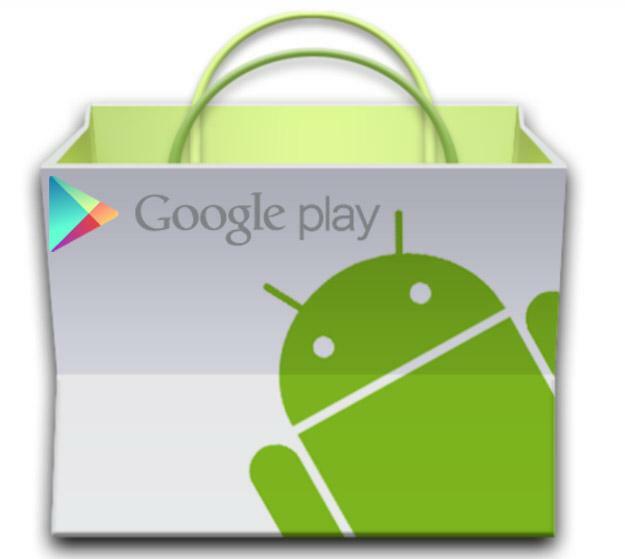 You can easily find stores near you in the app too. Dunkin' - Register your Dunkin' card online and you can pay with your smartphone. They also have limited time offers that get straight to your phone so you can always grab a deal on the run. Quickly find a Dunkin' near you in the app. What's even better is you can send gifts in the app. Have a friends birthday that you forgot? You can deliver a Dunkin' card via Text, email, or Facebook. This app offers a lot of other information. You can see a menu, nutrition information, or give comments about your visit. GrubHub - I love GrubHub, they are always giving away free "grub" via social media and no matter where you are, you can always find a place to eat. You can enter in your address or use your GPS to locate places near you. You can refine it by what you're craving too! You can score free grub every time you place an order. OpenTable - Make reservations to thousands and thousands of amazing restaurants. You can see what other customers thought of where you're making a reservation. Find a table using your location or you can select a location that include popular metro areas. This app is great for last minute reservations. Food Planner - This app is great for planning out your meals for the week or for the month. You can even put in the inventory from your fridge and pantry in this app so that you don't buy duplicates of something. Recipe Search - I've totally fallen in love with app. Find every recipe you can think of in this app and even create your shopping list using this app. My favorite pie in the whole world is Dutch apple pie. 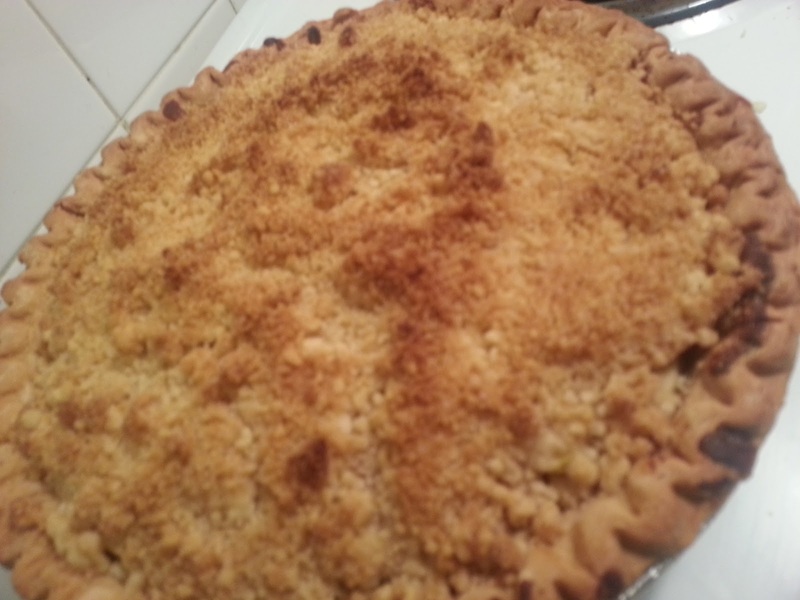 It is the first pie that i actually remember eating and falling in love with. 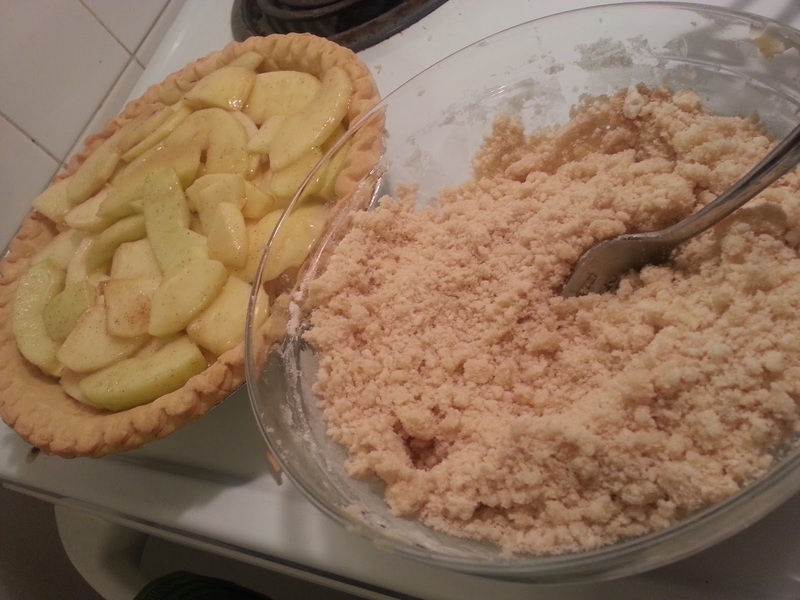 So of course when I saw apples on sale at my local grocery store I decided to pick up a few apples make some delicious pie. In a large bowl toss together the apples, lemon juice, sugars, flour, cinnamon, and nutmeg. Now to prepare the topping. In a medium bowl combine the flour sugars, and butter until it resembles a course crumble. Allow to cool for at least 15-20 minutes before digging in, to allow the filling to settle. Serve it with a giant scoop of vanilla or caramel ice cream and/or whipped cream! I started clipping coupons at Redplum, check them out! I had shepherd's pie a while ago and honestly it wasn't very good, it was pretty bland, but it's one of my boyfriend's favorite dishes. So I revisited the dish and decided that there has to be more to it, more flavor, some reason why he likes it so much and of course that means I had to recreate the dish Kat style. Hi everybody! So, pretty recently Kat asked me to blog with her about one of our favorite subjects, food! I figured I would start with a sweet salty bang. This V-Day I made the hubs sea salted chocolate caramels. I had wanted to try my hand at making caramel for a while now, and finally I was bored (lol) and brave enough to attempt it! Turns out, it’s pretty easy! I followed the recipe I found on a wonderful food blog called Inspired Taste, it has beautiful pictures and wonderful directions! I strayed a little bit from their recipe, so I will include my own alterations. The caramels turned out delish. The hubs swears they tasted better then a certain brand name San Francisco based chocolate company, but I won’t let it go to my head : ) Hope you try them! I swear, if I can do it, you can too. 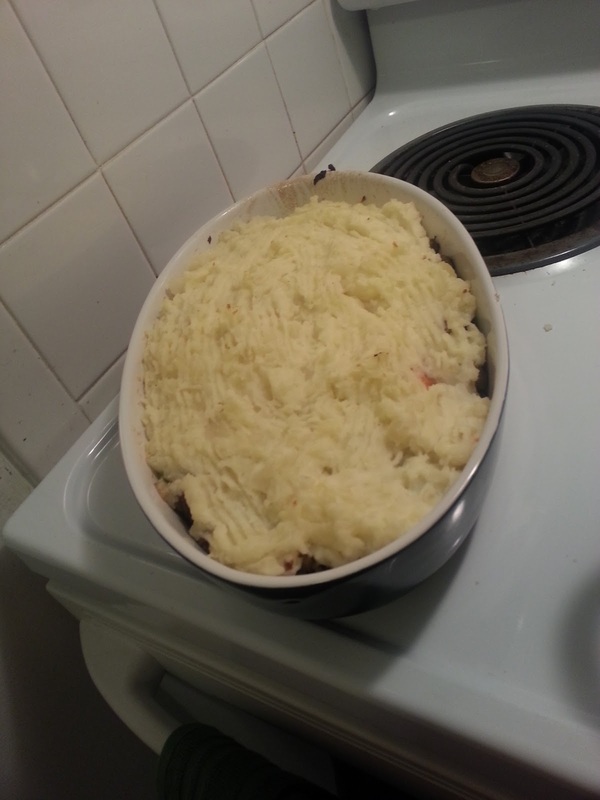 The recipe was barely adapted from Inspired Taste.